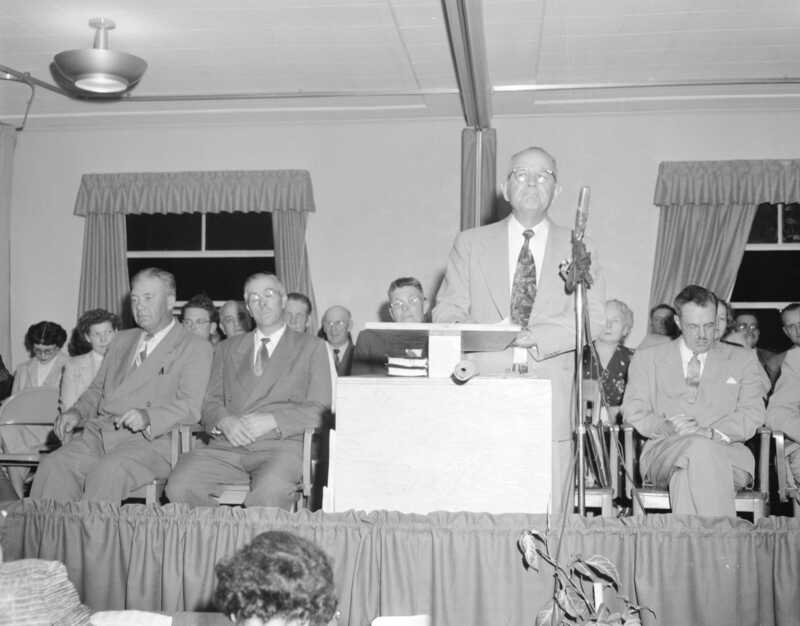 Description Elder Spencer W. Kimball dedicated the Randlett Indian Mission Church. Richard L. Evans is pictured to the right of him. James Bacon and Grant Pickup are also seen in the congregation.